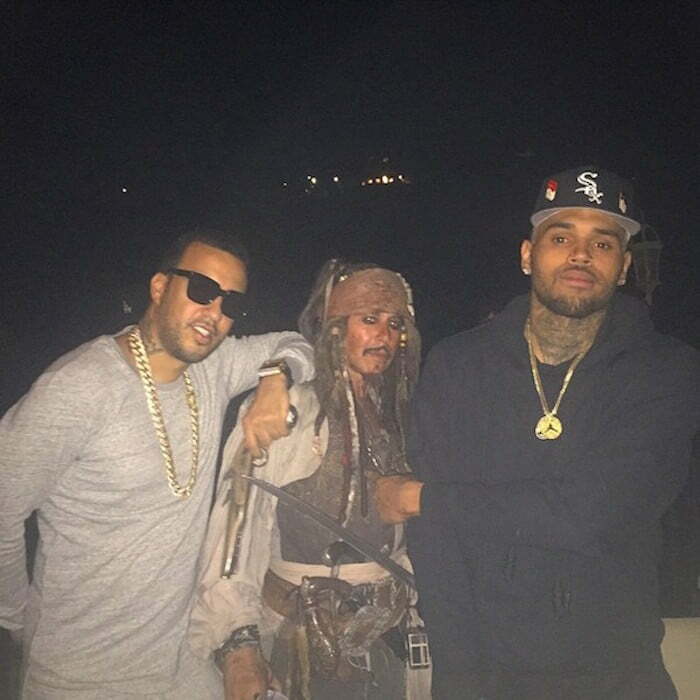 Rihanna and Chris Brown raised a few eyebrows when they attended Travi$ Scott’s 23rd birthday bash in Hollywood Hills on Tuesday night. Sources told us that they arrived at the party separate but partied together. “They arrived separately but you can tell there is no love lost between these two… They chatted and exchanged a few jokes and left separately after the party wound down,” our source said. The former flame also snapped a few photos playing with a giant snake at the pirate-themed birthday bash. Among the celebrities spotted at the lavish bash were French Montana, Kanye West, Die Antwoord’s Ninja, Khloe Kardashian, Kylie Jenner, Hit-Boy, YG, and a Jack Sparrow look-a-like. 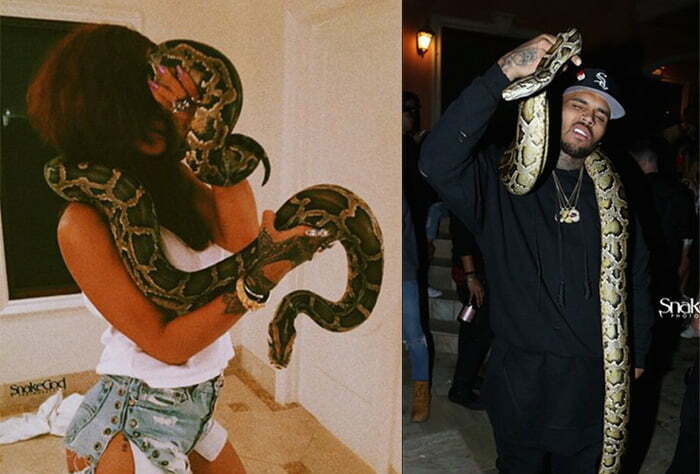 Sources also told us that Rihanna and Chris Brown have no plans to rekindle their relationship. “There are no plans to rekindle any relationship, right now Rihanna is fully focused on her career and is way too busy to be a step mom,” our sources said. 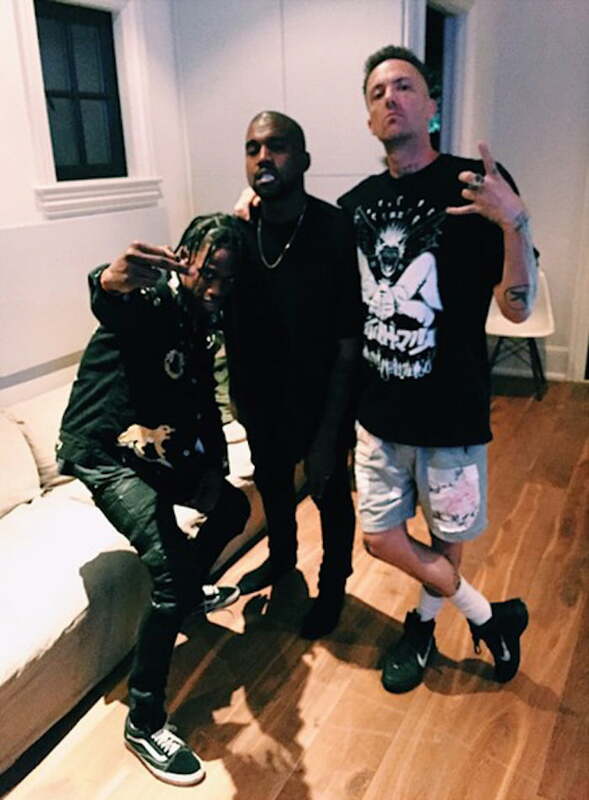 Damn is Kanye West really that short, or is it just the way the cam picture is angled!